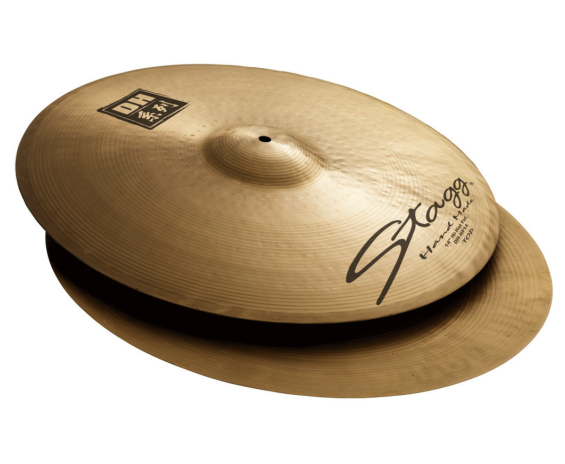 13" DH Brilliant fat HiHat - Pair, Dual Hammered series. Need more information or advice on this product? Use the form below to send us an email, we'll get back to you in 24/48 hours. We deliver to most EU countries in just 48/72h. Please hold on a little bit more if you're placing your order during weekends or holidays. Buy what you want! Shipping costs are fixed at 20€, no matter how many products are in your order! Choose your payment, we accept PayPal and credit cards but also wire transfers. Currently no cash on delivery option, sorry. The website and all the transactions are protected by a Digicert SHA-256 certificate. we would like to inform you that GDPR 2016/679 (regarding the protection of personal data) safeguards the protection of persons and other subjects regarding the processing of personal data. According to the GDPR 2016/679, this data handling is based on principles of correctness, lawfulness, transparency and protection of your privacy and your rights. a. The management your request of information about our products. 2. The processing of personal data will be carried out both through IT tools and manually by specially appointed employees. Your personal data will be stored in our digital archives and in any case on the European territory. 3. As part of the data processing described above it is necessary to know and memorize all the data necessary for the management of your request, such as, for example, the company's and personal details, telephone contact number, e-mail address, etc. Any refusal to provide such data could lead to failure or partial execution of the contract. 4. The personal data you provide will be communicated to authorized third parties for the fulfillment of legal obligations and for the management of your request. 5. The personal data you provide will be processed and stored for the purposes set out in points 1a. Subsequently the data will be deleted from our archives or destroyed in compliance with current legislation.